First cria is here and he is grey!!! GLR BLACK EYED PEA is a striking dark silver grey with incredible density, luster and commanding presence. She has a solid pedigree being sired by Silver Marquis who also sired the well known, third generation Champion grey, Platinum Marquis. Pea's mother had a recorded micron of only 18 at two years of age and Pea's sister, GLR Ventania, sold for a record $84,000 at the Private Collection Sale. 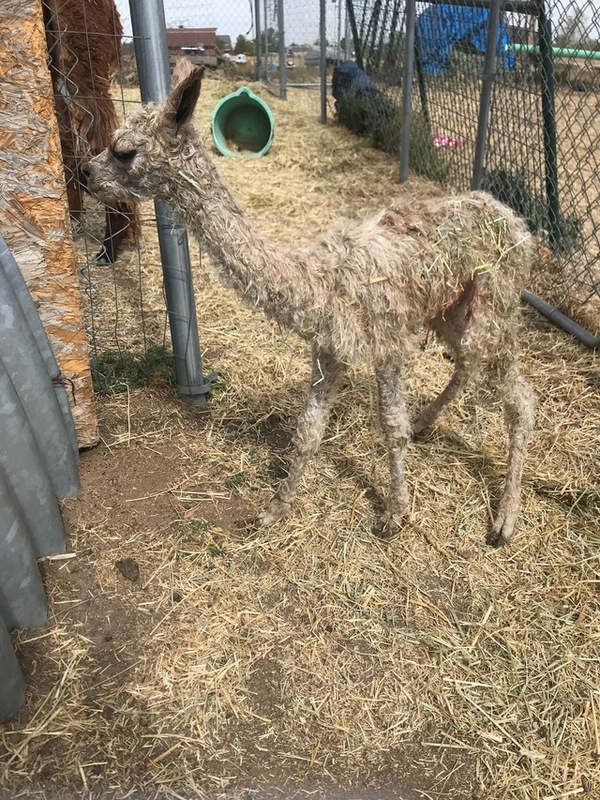 Ghost Ryder's first cria is here and he is grey! 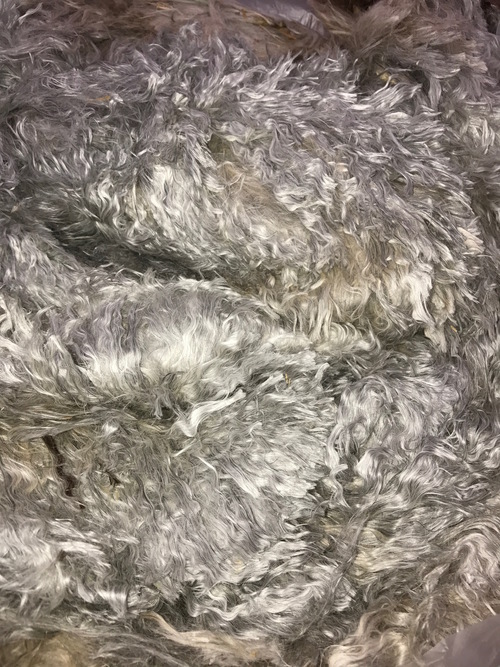 A beautiful light silver grey!! 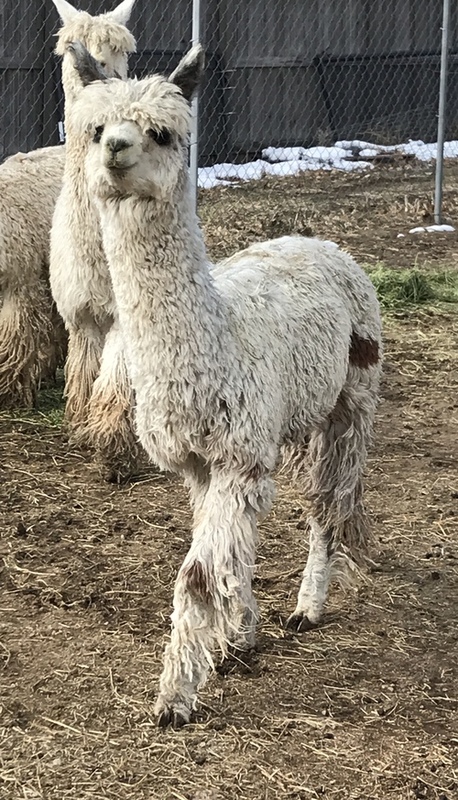 We are expecting 2 cria from Ghost Ryder in 2019. Can't wait!!! UPDATE Ghost Ryder was just awarded Grey 1st and Reserve Color Champion at Suri Network all fleece show 2017!! We are very excited about this male! His luster is incredible all over! 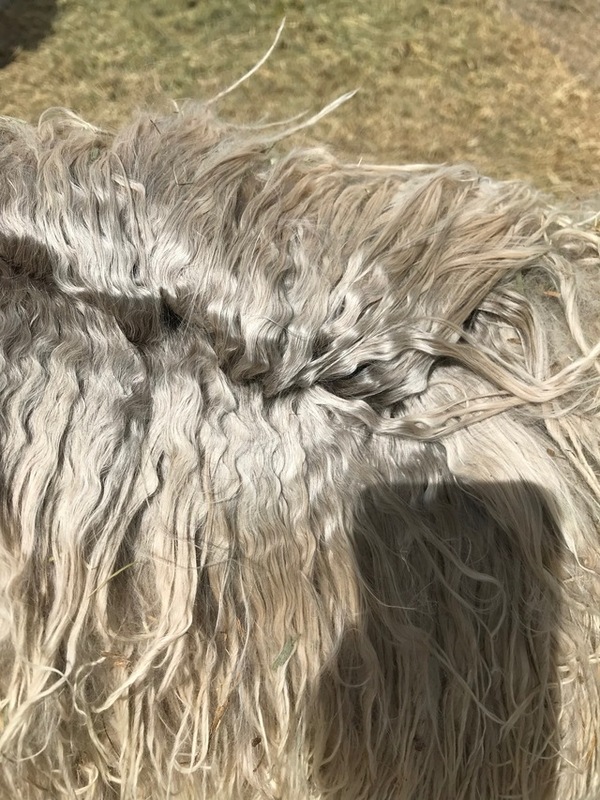 Can't wait to see him after he is shorn. check out his histogram!! A beautiful, classic silver grey male destined to become an outstanding grey herdsire. Out of Great Lakes breeding program. Ghost Ryder is sired by GLR Kolaqua, who was twice AOBA grey National Champion. 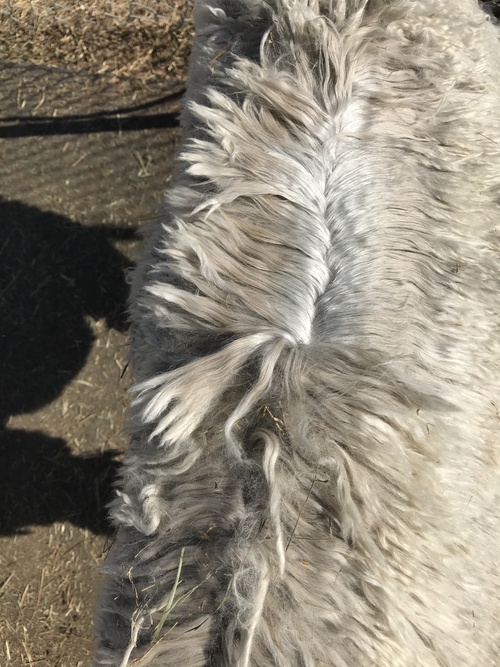 Check out Ghost Ryder's pedigree and you will see strong grey genetics on both sides, and he is unrelated to the popular Silver Heat, Silverstone line. 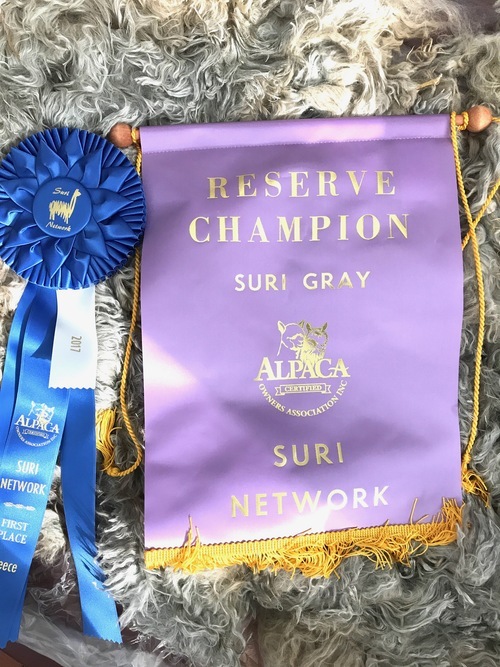 Suri Network fleece show 2017 He won over a 4X Color Champion! !